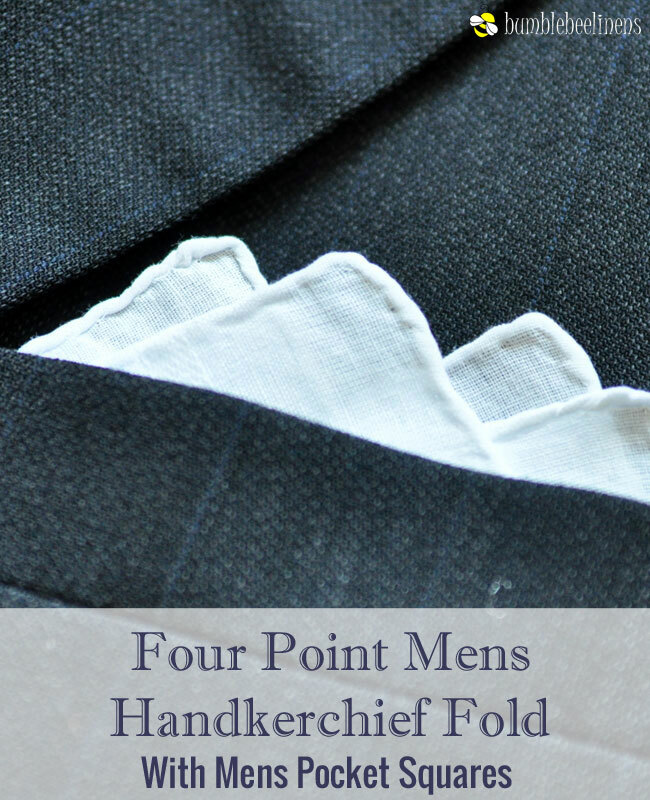 The Men's 4-Point Handkerchief Fold is very sophisticated and looks most elegant with a dark suit. 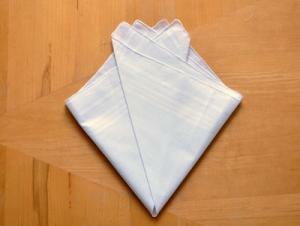 This fold works best with a starched handkerchief and looks most clean when you press the handkerchief between folds. 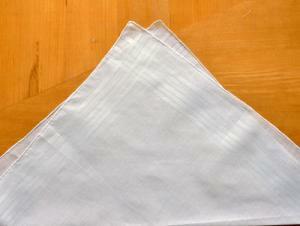 Lay the handkerchief flat with one of the points facing up. 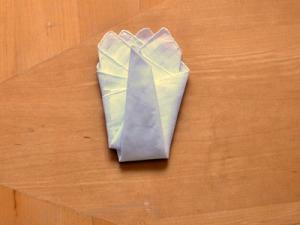 Take the bottom corner and fold it up slightly to the left of the top corner. 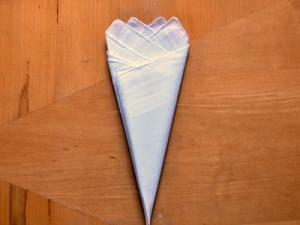 Take the left corner of the triangle and fold it up and to the right to create your third point. Repeat on the right edge of the triangle but slightly to the left of the first point. 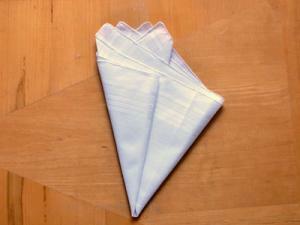 Fold the left corner of the handkerchief over towards the center. 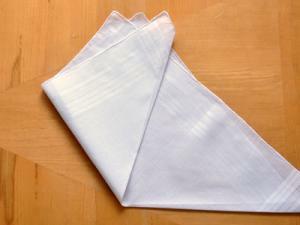 Repeat on the right corner of the handkerchief. Fold the bottom point towards the top.